This template is best showcased on a digital screen with suitable graphics and colors and placed at the entrance of the shop as well as indoors. Bakery shops are famous for their innovative advertising during the Christmas and New Year seasons. 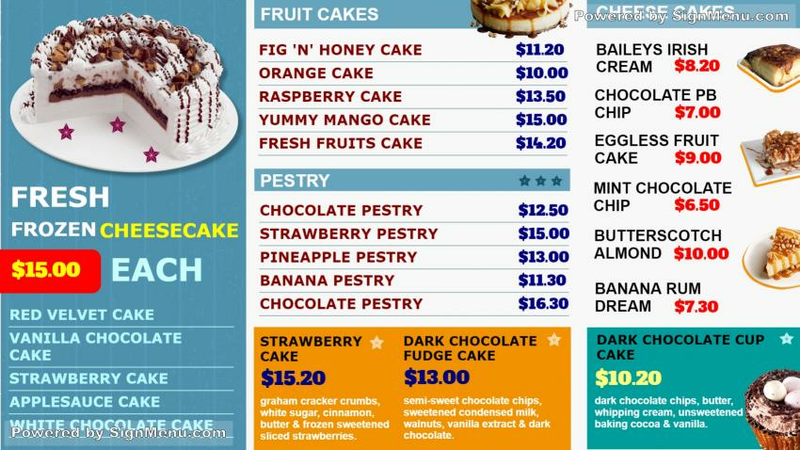 This template, which provides a benchmark for your actual menu board can effectively illuminate the unique menu offerings. This template is ready for download and use.